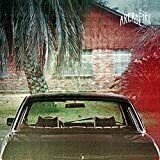 When the Arcade Fire's new album The Suburbs hit #1 the week of its release, it was a huge accomplishment for both the band and its label, Merge Records. Possibly my favorite music book of 2009 was John Cook's oral biography of Merge, Our Noise: The Story of Merge Records, the Indie Label That Got Big and Stayed Small. I haven't read another book that so aptly defines the indie rock scene of the 90s. As an added bonus, the book chronicles the career of one of my favorite bands of all time, Superchunk (which includes Merge co-founders Laura Ballance and Mac McCaughan). To enter the contest, leave a comment in this post with the name of your favorite record label (or if you don't have a favorite label, the name of your favorite album released so far this year). The winner will receive a copy of the Arcade Fire's The Suburbs album (in mp3, CD, or vinyl format), along with a copy of the book Our Noise: The Story of Merge Records, the Indie Label That Got Big and Stayed Small. The winner will be chosen randomly at midnight CT Friday evening (August 27th).